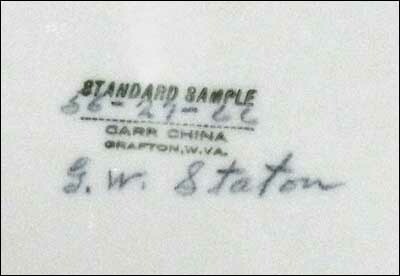 This is a sample plate with two color palettes designed by artist George W. Staton. Per Joy's note, he was an English engraver who worked at Carr for "many years, and did beautiful work." 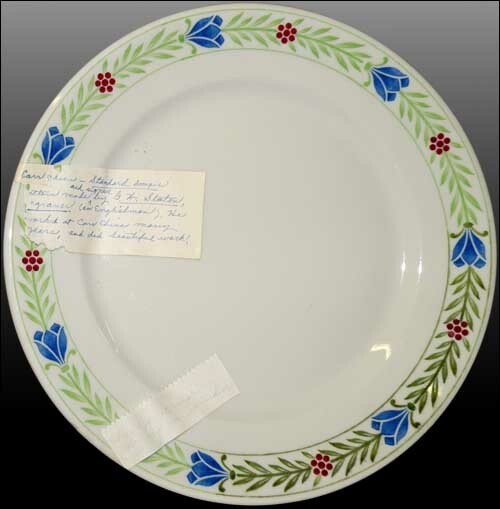 It is Staton's initials that you can see artfully hidden on the backs of the Tygart Dam Plates, the Andrews Methodist Church Mother's Day plate and the Philippi Bridge plate.